An increasing number of women are joining the workforce. Most such jobs are desk bound resulting in weight management problems. Weight loss does not happen due to office jobs. In fact, women start putting on a lot of weight. This happens due to lack of a balanced diet plan and absence of stress management. Discipline, exercise and lifestyle are other issues. A home maker is much more healthy and fit as they are doing a lot of work around the house and also probably exercising as they have more time flexibility. However, home makers remain healthy only if they are doing physical work themselves like cooking, cleaning, taking care of children and buying groceries,etc. If they have maids to do all or some of these chores, then they also cannot manage weight loss and may become fat and get health problems. 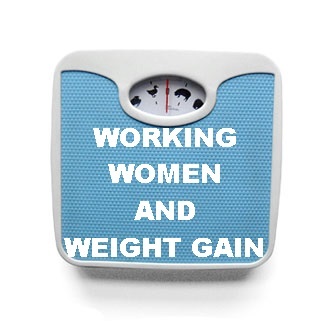 Career women are more prone to putting on weight because they need to give euqal preference to their jobs and family personal lives. Working women therefore face the same problems that men face; work stress, lack of personal time, no exercise and a lack of a balanced diet plan. The stress multiplies when they do not get much help at home. This may happen in case of single women or women in traditional societies where men do not contribute to housework. Women, who have office jobs and work thirty five hours or more in a week tend to put on excess weight compared to those who work a lesser number of hours in desk jobs. The other key discovery is that women who work around fifty hours a week are also more prone to drinking and smoking. There are drinking and eating binges, especially on weekends and an increase in the level of smoking. All of these add to health problems and obesity. This lifestyle change in women is leading to an increase in lifestyle diseases like high blood pressure and diabetes even in young women. Cardiac problems are another issue faced by young women. Previously, women would be prone to cardiac problems only after menopause. That too the ratio was only 30% of all such problems compared to 70% in men. Now this ration even for young women is 50:50 compared to men. Women’s health is deteriorating much faster then men due to a modern lifestyle. Child bearing hormones were protecting the women from cardiac problems and high blood pressure. But this is not the case any more. This does not meant we need to worry. We need to opt for some great online diet plans to regulate our eating. In addition, we should opt for authentic online yoga programs so we can practice even in office. Start walking and remaining physically active at all times. With various online programs from wellzee, you can manage this problem well. You can work in an office, manage your home and family and also remain fit. Weight loss is an additional benefit of all the wellzee programs.